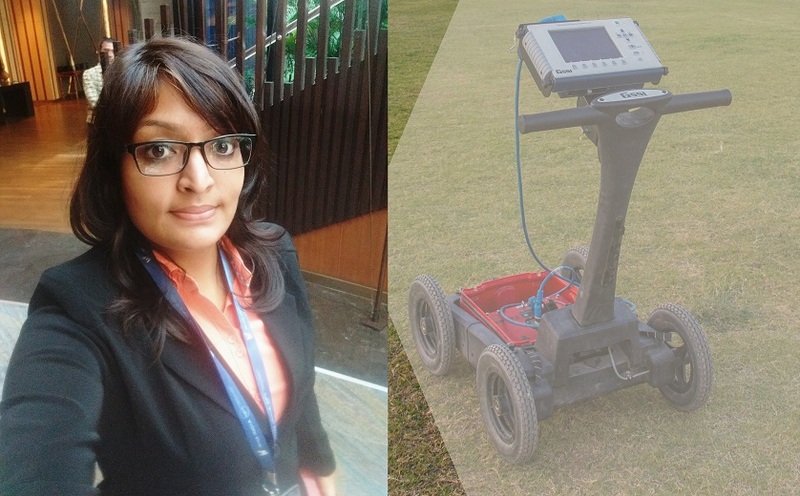 Silky Agrawal who studied Master in Technology in Civil Engineering from Indian Institute of Technology, Gandhinagar graduated in 2015 and launched her start-up GeoCarte Radar Technology Private Limited and incubated at IIT Gandhinagar. Can you please introduce yourself and also explain more about GeoCarte Radar Technology Pvt. Ltd. presence in Metro and Railway construction industry in India? I am a former master’s student of Civil engineering at IIT Gandhinagar. With the soul of an engineer and heart of an entrepreneur, I have initiated a start-up “GeoCarte Radar Technology Private Limited”, working in the field of non-destructive geo-exploration using Ground Penetrating Radar. We are currently incubated at IIT Gandhinagar under the mentorship of Prof. Amit Prashant and Prof. Sudhir K. Jain, Department of Civil Engineering, IIT Gandhinagar. We at Geo-Carte provide comprehensive professional services for all kind of non-destructive geo-explorations ranging from utility mapping to archaeological investigations and in many more domains using GPR. With our advanced technology we can map the underground utility services without digging and hence it can be of great use to several agencies in optimising the need of the new network, preventing the damage to the pre-existing utilities while installing the new ones, detecting leaks in existing pipes and in preparing the database of the same. This can save huge amount of money and time and can considerably reduce the undesirable delays in the projects. Adding to it, we have successfully completed several projects for utility mapping, road inspection, railway ballast investigation and archaeological investigation. We have worked with Larsen & Toubro on Ahmedabad Metro Rail Project to map the underground utilities to plan utility shifting at the location of proposed underground station and area besides where probably the utilities can be shifted. We have also worked with Indian Railways to explore the application of GPR for ballast investigation to improve the output efficiency of Ballast Cleaning Machine during the maintenance work. We have worked with many such esteemed clients on prestigious projects including Chennai Smart City Project. Please could you give us some background as to your own career and what attracted you towards incorporation of GeoCarte Radar Technology Pvt. Ltd.? During my master’s, I was working on a project, Archaeological Investigation using GPR at Dholavira. During initial stages, while calibrating the machine, we realised the machine is not good to work in all situations and there are few limitations to its performance, like poor quality data in high moisture soil content. Therefore, we tried several other methods to develop a tool which can analyse this weak signal data. After so many trials and error methods, we developed the advance analysis tool which can provide satisfactory solution in all soil conditions. Also, coming from business background family, never wanted to go for job, and my mentor Prof. Amit Prashant motivated to for start-up and supported me. And that’s how i ended up initiating GeoCarte. Tell us a little bit more about your company and how it would typically be better for projects than more traditional methods? GeoCarte is company fully focus for underground infrastructure mapping. Traditionally people go for trenching to get an idea about underground utilities or any features, however, it leads to damage of the pre-existing assets, its dis-continuous data, very time consuming, inconvenient and costly method. GeoCarte’s services provides the map of all the underground assets just by scanning and enables a company to plan any new project execution efficiently and reduces the chances of undesired delays in the projects due to scarcity of knowledge about subsurface features. What is GeoCarte Radar Technology and how it works? GeoCarte is a consulting organisation providing comprehensive professional consultancy services for all kind of geo-explorations ranging from archaeological investigations to utility mapping, ground water table investigation and assessing the condition or health monitoring of concrete structures. We at GeoCarte intends to serve our clients with our best approach to deliver outputs on time and guarantees that our services will exceed our fees. We provide services right from data collection on site, to data analysis, data interpretation and report preparation. We provide the output results in form of plan and sectional view which can be easily used and implemented in further processing by any engineer at site. As we know that your company use Ground Penetrating Radar (GPR) technology, Utility Mapping and Transportation Inspection services to infrastructure and construction industry. Please enlighten our readers more about your specialized product, technology & services and their salient features. We have developed an advance analysis tool which can be used in difficult site conditions where the conventional tools fail to perform. 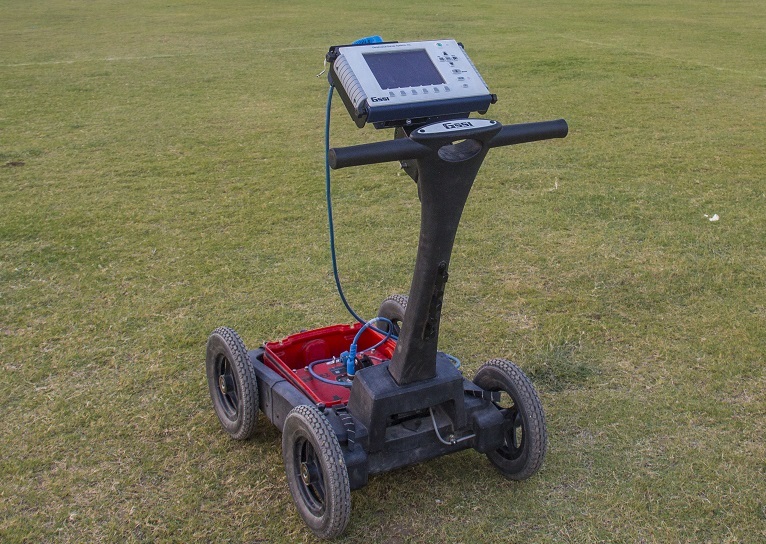 We can provide satisfactory output result even in high moisture condition, high clayey content soil where GPR data contains weak signal and conventional methods cannot provide efficient output results. Moreover, we provide tailored and customised solutions to our customers for their specific requirements and purposes. How were projects undertaken before GeoCarte Radar Technology Pvt. Ltd. became so prominent and what changes have been made? Mostly people are unaware of these available technology and therefore they use traditional and conventional methods like, trenching, excavations, etc. which leads to damage of underground assets and cause undesired delays in the project leading to loss of time and resources. There are couple of companies in India providing services for subsurface utility mapping, however, they use conventional method which is not good enough for all site conditions. What are the other kinds of players and how do you differentiate yourselves from them? There are very few companies who provide similar services, however, the conventional commercial available technology alone is not good enough to perform in all site conditions. With our advanced analysis tool, we can provide enhanced subsurface profile. Also, we do provide services in different domains other than utility mapping and exploring new avenues of its application. We have worked on several archaeological projects, Indian railway project and many such challenging projects. We intend to provide superior quality services with more efficient technology and approach. 8. What are the measures you take with regards to quality control? With regards to quality control, specially for underground utility mapping we follow American standard codes ASCE-38-02 to maintain the quality of our output drawings. Tell us about major metro & railway and infra projects undertaken by you and what are the challenges you face when it comes to catering to the Indian market? We have successfully completed the underground utility mapping for a proposed underground metro station for Ahmedabad Metro Rail Project with L&T for the purpose of planning of pre-existing underground utilities. We are currently working on Chennai Smart City Project with Tamil Nadu Water Investment Company. We are going to execute several metro and smart city projects in coming months in several cities of India. The biggest challenge we face is to convince the government officials to adopt new technology. Also, Government corporations outsource everything to contractors, though they need to understand that the main client has the responsibility to know at first place about the existing assets before proposing or awarding any new project to the contractors. What do you think about metro railway, rapid rail transit and high-speed rail revolution in the major metropolitan cities in the India? It is the must required things in the big cities with very high population for convenience. Now a days it has become a great issue, by road due to heavy traffic, it is very difficult to reach to your places on time. And therefore, having public transport, like metros, rapid rail transits is a need of the hour. Any other information, you want to share with us in respect to technology development in metro & railway, infrastructure and construction industries and how your company is well placed to capitalize on this or has capitalized on it. Currently, in India during the smart city mission, there is a boom in infrastructure domain, and its a very good opportunity for any upcoming new technology in the country. Our technology bring the revolution in this smart city projects where, the existing cities are getting updated to smart cities, and there is so much unrecorded underground infrastructure unknown to anybody. Thus we have a great opportunity to work.